Weekly Deals are all about the Big Shot this week! This is the day to buy the Magnetic Platform!! 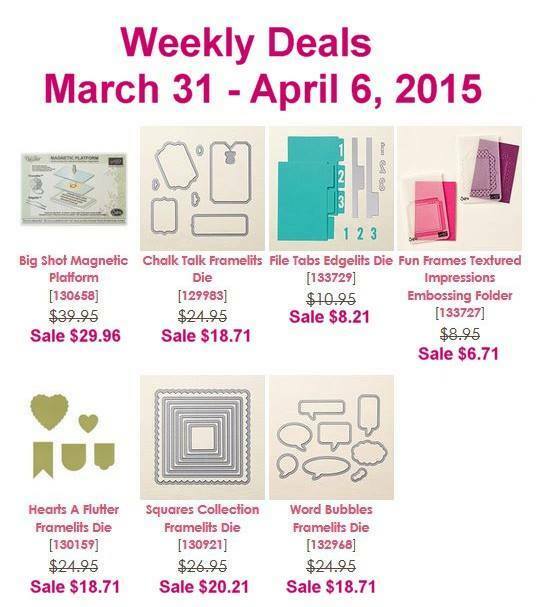 Add in some framelits and you are just about to one last free Sale-a-bration product. Today is the VERY LAST day of Sale-a-bration, and the ordering deadline is 11:50pm mountain time. I just added a few packages of Sheer Perfection Designer Vellum to my stash. What’s in yours? Shop the Online Store.